Floor in logs insulation suggests effective soundproofing and thermal insulation. Thermal insulation resistant to microorganisms and rodents, can be installed quickly and easily. 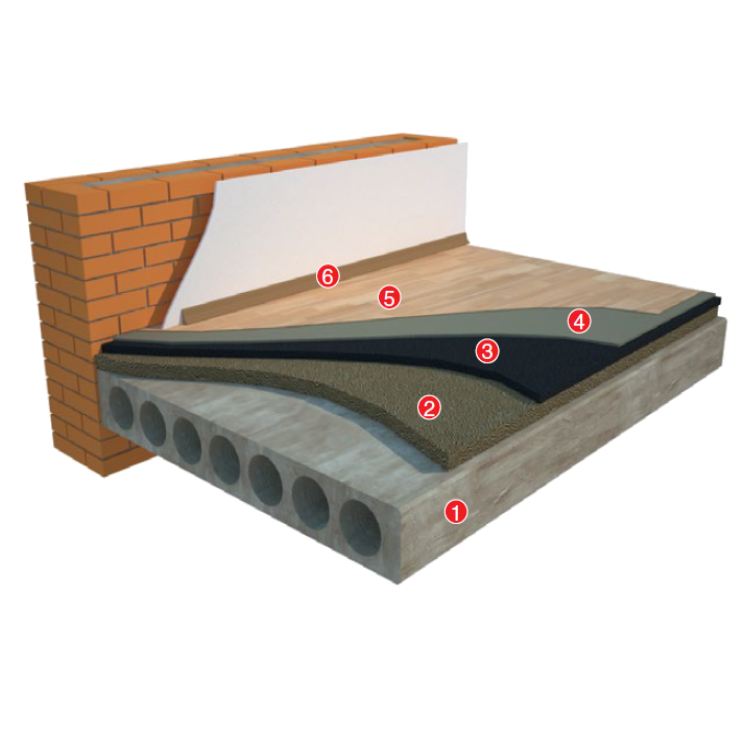 If the floors should be installed on the ground, the moisture barrier should be set under the thermal insulation layer. Vapor barrier should be set on the floors above the basement and rooms with high humidity. 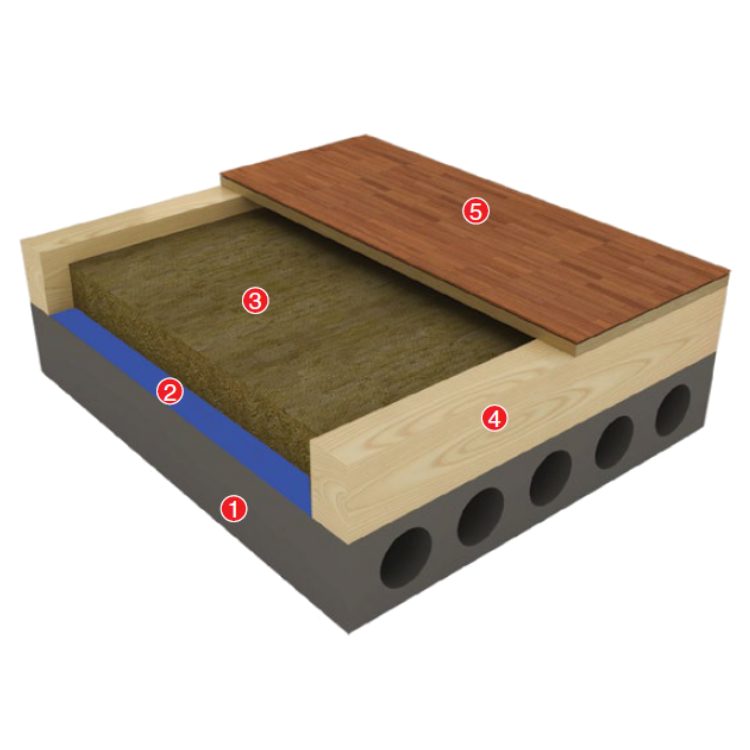 Underscreed floor system has high mechanical stability, provides effective insulation from the air and impact noise. Leveling screed should not touch the wall. The gap between the screed and the wall should be covered with the skirting. As s rule, Izovat Acoustic Floor is used in residential and public buildings. In industrial buildings and also on floors with special requirements, Izovat 135, Izovat 160 used.